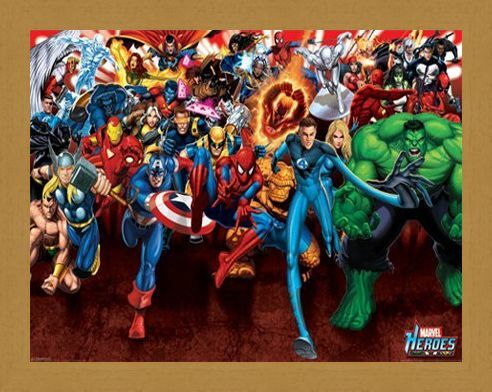 Comic Book Mini Poster: Ready for battle against evil these superheroes are here to do what they do best, save the day! 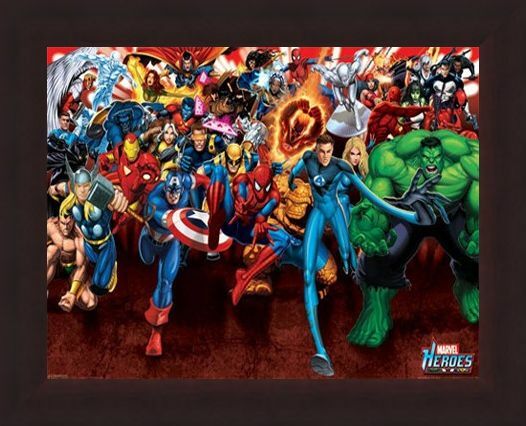 Spiderman, Iron Man, the Fantastic Four, the Hulk and the X-Men are among the heroes in this brilliant mini poster who are ready to jump to the rescue of those in need. With their eye catching suits and super human powers the ‘chosen ones’ who embody such amazing abilities shine in this poster as beacons of good that will protect people and not abuse their gifts as their villainous enemies do so frequently! 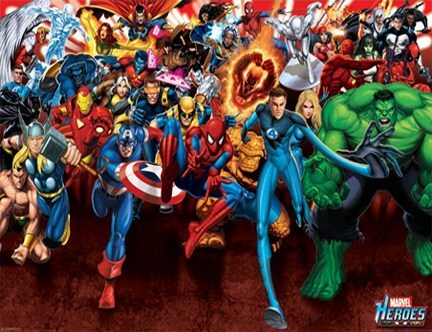 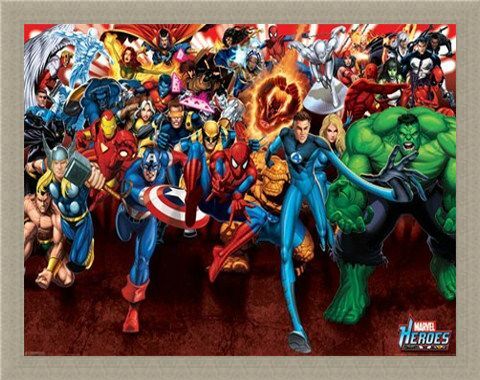 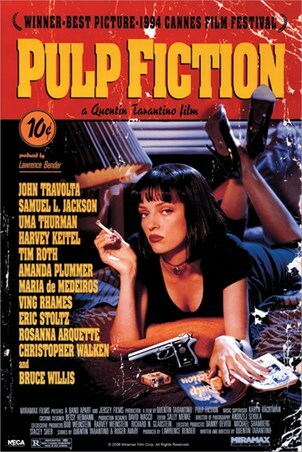 For any fan of the amazing marvel comics this poster packed full of amazing illustrations of iconic superheroes will make a super addition to your bedroom. 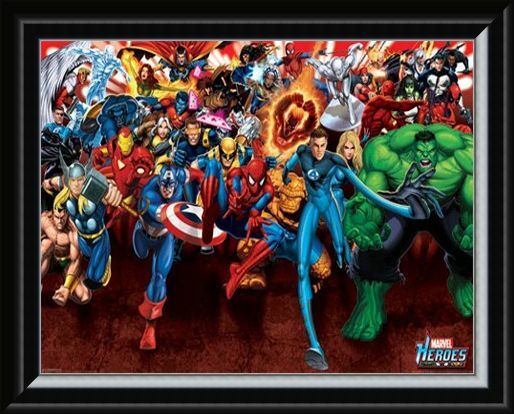 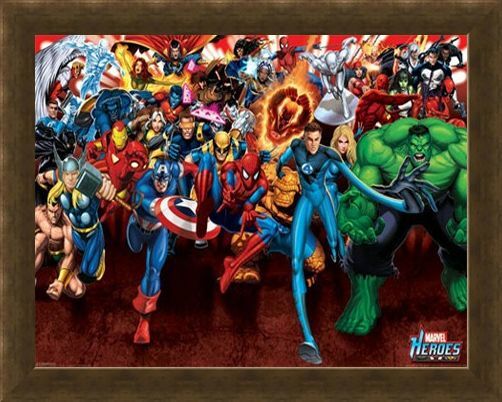 High quality, framed Here To Save The Day, Marvel Heroes mini poster with a bespoke frame by our custom framing service.